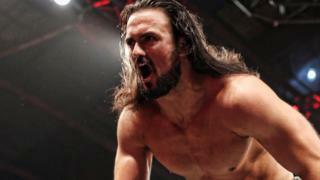 Drew Galloway has gone from Scotland to America and now wrestles megastars like Kurt Angle and The Undertaker for a job. He tells us how he was obsessed with wrestling as a kid and, through a combination of hard work and perseverance, he now finds himself living his dream. He's keen to share the love of the sport and wants more people to have a go. "It's so so rewarding, I'd recommend it to anybody," he says. If you think wrestling could be your thing why not have a look at our wrestling guide to find out more? Pictures courtesy of TNA Wrestling and Challenge TV.